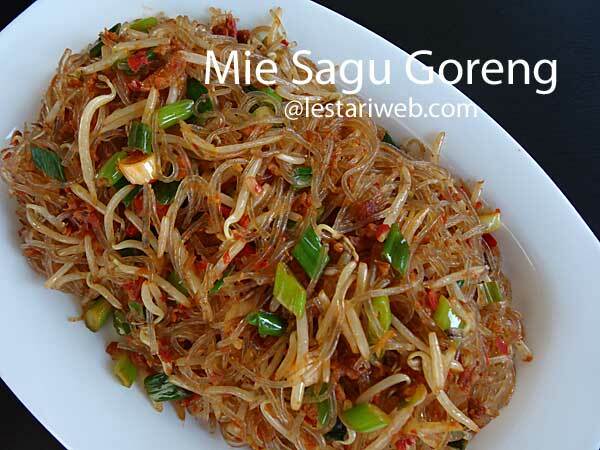 Origin: Selat Panjang, Tebing Tinggi Island - Riau Islands. 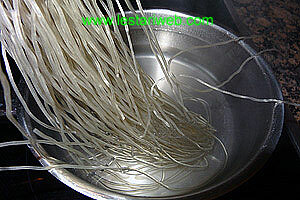 Soak the sago noodles until soft, wash & set aside in a colander to drain. (If you use korean sweet potato noodles, soak the noodles in a warm water then cook the noodles in boiling water (until al dente) according to package instructions and set to drain in a colander). Put shallots & garlics in a grinding stone & grind into smooth paste. Add the pre-soaked dried shrimps then grind all these until smooth. 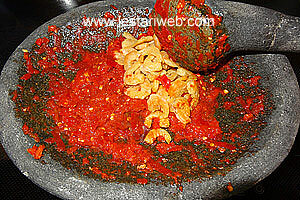 You can also use the grinder or food processor to blend all the ingredients into smooth paste. (If necessery add a little bit oil to help the blending process). 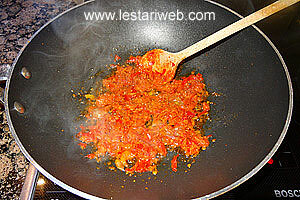 Heat 5 tbsp oil in a wok or big saucepan. (Don't add oil if already added in a blender). Stir fry the paste over medium heat until cook & fragrant. It takes about 5 minutes. 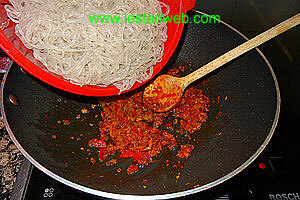 Add the noodles, stir fry until the paste mix well with the noodles. 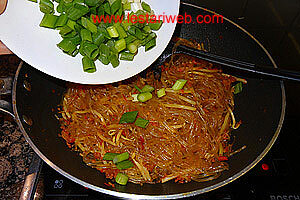 (If necessary rinse the noodles with cold water, drain well then adding to the frying pan if the noodles stick to each other). 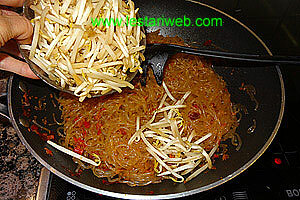 Add the beansprouts, stir fry shortly just until wilted. 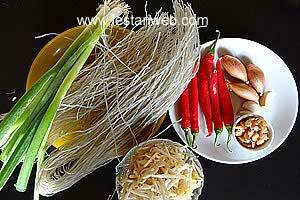 Add the spring onions & stir to mix. Adjust the seasoning, add salt (& sugar if preferred). Remove from heat. Serve hot immediatelly.